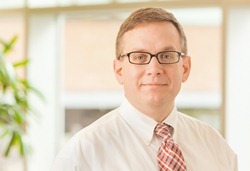 UNMC › Radiology › Faculty › Christopher Vargo, M.D. Kandarpa K, Swichuk J, Vargo CJ, et al. Interventional Radiology. Book Chapter. Peripheral Vascular Disease and Intervention. 2007. Robertson H, Bok L, Vargo CJ, et al. Simulation in Radiology. Book Chapter. Endovascular Simulation. Oxford University Press. In press 2010.